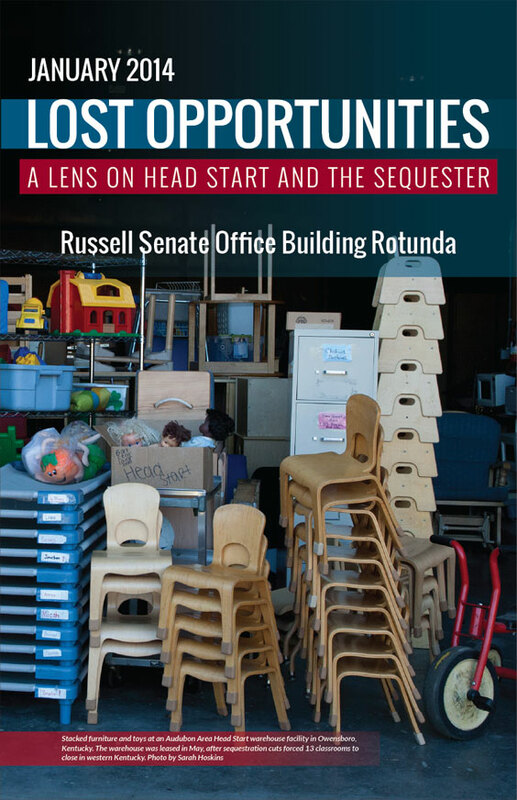 Lost Opportunities is a photographic exhibition created in collaboration with the National Head Start Association (NHSA). It highlights the effects of U.S government budget cuts in 2013 on Head Start programs in five states. The exhibition showcases rural, urban, migrant and tribal Head Start programs in Maine, Kentucky, California, South Dakota and Maryland. Local photographers were contracted in each state to document one program. The exhibit opened on January 27, 2014 in the Russell Senate Office Building on Capitol Hill in Washington, DC, and will tour several states in 2014 through the NHSA.